For many decades, the United States government encouraged the forced removal of Native American children from their families, often placing them into foster care with white families to “assimilate” them, and stripping them of all connections to their heritage. In 1978, the Indian Child Welfare Act (ICWA) was passed by Congress to address the harm caused by these race-based policies. The ICWA affirmed the importance of Native cultures, acknowledged that forced removals caused trauma for children, and increased legal protections for Native communities. Despite these new protections, in the ensuing years, the forced removal of children from Native families continued in many parts of the United States, including in the State of Maine. Recognizing the need for change, a group of Native and non-Native leaders in Maine engaged in a series of painful but honest conversations about this difficult topic. As a result, the Maine Wabanaki-State Child Welfare Truth & Reconciliation Commission was established. It is the first government sanctioned Truth and Reconciliation Commission in the United States. For two years, Commissioners travelled across the State of Maine gathering testimony and hearing the stories of the Wabanaki people, including those who as children personally experienced forced removals. We invite you to join us for a discussion with Esther Anne, a Wabanaki community leader who helped establish the Maine Wabanaki-State Child Welfare Truth & Reconciliation Commission. 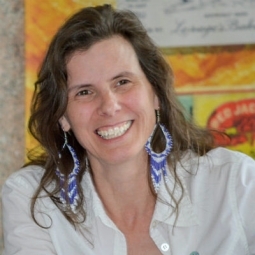 Esther Anne, a Passamaquoddy from Pleasant Point, Maine, and member of the wider Wabanaki (meaning “the people of the dawn”) Confederacy, joined the Edmund S. Muskie School of Public Service in 2003. Her role was to engage young people in foster care and ease their transition into adulthood. Esther had the honor of having a critical role as a Muskie staff person and a Wabanaki community representative in the creation and establishment of the Maine Wabanaki-State Child Welfare Truth and Reconciliation Commission, as well as Maine-Wabanaki REACH which focuses on decolonization through truth, healing, and change. She is now deeply engaged in the implementation of the Commission’s recommendations through restorative justice and decolonization. Esther earned a Master’s degree in Social Work at the University of Maine in Orono in 1997, and has served as adjunct faculty to the school. Currently, she facilitates the tribal-state Indian Child Welfare Act Workgroup, and creates products for tribal-state collaboration. She also helps improve best child welfare practices for native children and families through the Capacity Building Center for Tribes. Esther is working toward reclamation of Wabanaki territory, language, and ways of knowing and being. She enjoys making art, outdoor activities and spending time with the young people in her life.